THE OLD FASHION PREACHING OUTLINE usually followed the three-point sermon outline model. How to create a sermon outline that is similar to an old fashion preaching outline involves four simple concepts. An old fashion sermon has an introduction, a body and a conclusion. In fact, every sermon has these three parts. The preaching outline or sermon outline is the road map for the body of your sermon. 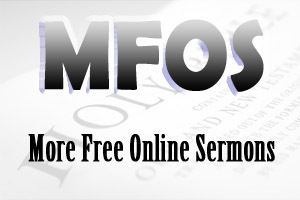 A good sermon outline has a main preaching point, sub-points and incidental points. The main preaching point is the big idea of the sermon or the topic of the message. The sub-points explain and expand the main preaching point of the sermon. Usually, these are the three sub-points. The incidental points of a preaching outline also explain and expand the sub-points. Structuring an old fashion preaching outline by linking the main preaching point with the sub-points and incidental points requires a HINGE word or HINGE Words. The HINGE word is always a plural noun. For example, you may want to preach a sermon on Sharing God's Love With Others, and your sub-points may be showing tender love, tough love, sacrificial love and radical love. Furthermore, you may have three incidental points explaining and expanding the concept of showing tender love. If you follow these four simple concepts outlined above, you will create old fashion preaching outlines with ease. You can download old fashion preaching outlines and how to write a sermon outline with ease by clicking on OLD FASHION PREACHING OUTLINE.